Earlier this week, I discussed the “Best Fabrics for Pet-Friendly Spaces”. 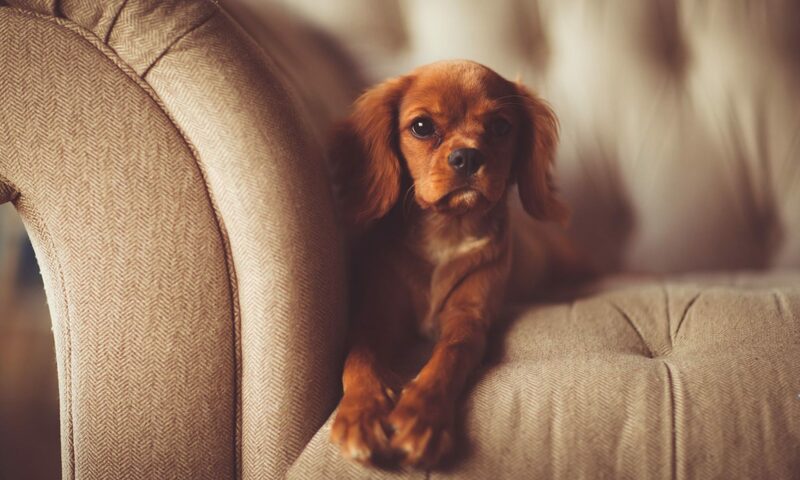 Now it’s time to chat about the worst fabrics for upholstery in pet-friendly spaces and why! 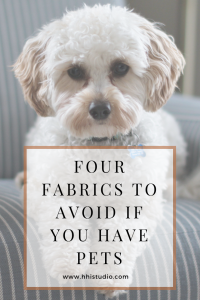 Scroll down to see my “Worst Fabrics for Pet-Friendly Spaces” list! 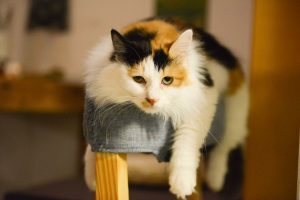 In my research to see what others online are saying, I noticed several resources say that silk is pet hair resistant. While that may be true, silk is a very fragile and high maintenance fabric. It can easily stain, rip or tear. And it doesn’t respond well to liquids, making it very tough to clean, too. Due to these factors, and the expense (! ), I personally do not recommend silk on upholstery. And, depending on the client and the space, I often don’t recommend it at all in a pet-friendly space (i.e. window treatments or pillows, etc). While a luxurious upholstery fabric, Velvet, is another fabric I don’t recommend. It is a high maintenance and delicate fiber for anyone, but especially pets. It’s super easy for the fibers to be damaged and crushed. Any rough playing, cleaning, or scratching/digging on the fabric can permanently damage the fibers. Professional cleaning is also recommended, and that can add up quickly! And on top of all that, pet hair clings to it like a magnet! The Loose Weaves category include many types of fabrics. These include linens, cottons, tweed, chenille, and many other open weave upholstery fabrics. The looser the weave, the more likely these fabrics will snag or unravel. Claws easily get caught in the fibers, while dirt, hair, and dust get trapped. And, over time, that trapped debris embedded into the fibers, will cause the furniture to smell. It is best to save the open weave fibers for machine washable knits or fabrics to use as accents in your space, like removable pillow covers and blankets that you can easily and regularly clean. 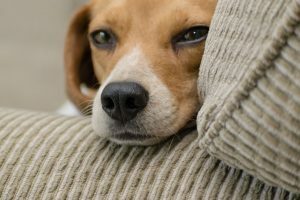 I’m sure many of you think that suede should be a good option for upholstery due to its strength and durability, however, it is not something I’d recommend with pets. 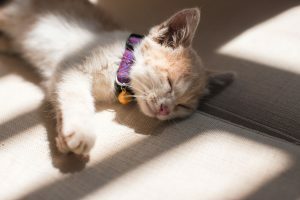 Water spots from cleaning, wet pet hair, licking, etc. make this fabric one to skip when furniture shopping. Please note, ultrasuede is a whole other subject, which you can read about here. Have you had experience with any of these fabric types? Let me know your real life examples in the comments below! Have a dog? Avoid these 4 fabrics for upholstery!